No one is immune to accidents. Police cars, fire trucks, and ambulances can not only be involved in accidents, but even cause them, in the right circumstances. Though they have special laws that allow them leeway to get to where they are needed as quickly as possible, this only means they have to be extra careful, watching out for those that do not get out of the way quickly enough, or to not drive so rapidly as to lose control over their vehicles. A preliminary investigation by the Charlotte-Mecklenburg Police Department suggests the driver of a fire truck was going too quickly when his truck flipped on a south Charlotte street. 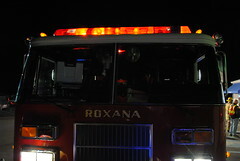 Four firefighters were injured in the accident. The firefighters were on the way to a medical call when the truck flipped. They were all treated at the hospital for minor injuries and have all returned to full duty. No other vehicles were damaged in the crash. The CMPD report says the truck was moving at about 44 mph when the crash occurred, on a road where the speed limit was 25 mph. The truck skidded 25 feet and then burst into flame, causing around $800,000 in damage. No charges have been filed regarding the crash, but the firefighter who was behind the wheel at the time has been suspended from driving the truck for the foreseeable future. No names were released regarding any of the injured firefighters. A second fire truck was called to put out the flame of the truck that was overturned. Personal injuries are always terrible events for one who is injured and for the injured’s friends and family. Those feelings of fear and horror are only compounded when there is a child involved. Everyone should have a stake in keeping children safe from harm, and in that same light, those who harm a child, even accidentally due to willful carelessness, should be held responsible. Newton police are still investigating an incident in which resulted in the injury of an elementary school-age boy and an adult male. The boy was shot in the hand and treated and released the same day, according to authorities. He was taken home to recover. The man, who was believed to have fired the weapon, was taken to Carolinas Medical Center, where he was listed in critical but stable condition. According to reports, the suspect was unable to communicate, so no information has been learned from him thus far. Police in Newton, with help from the Catawba County Department of Social Services, continue to question family members and friends for some insight into what may have caused the shooting incident. No charges have been filed at this point in time. When you or a loved one have been injured through the actions of another, the one who caused those injuries should be held responsible. 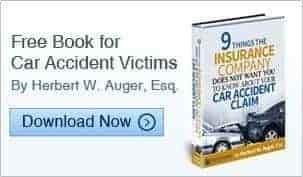 At Auger & Auger, we know to get you the compensation you deserve. The aftermath of an injury is a confusing and difficult time. Contact us today and let us help you get through it. There are dangers everywhere, but it is the responsibility of those who create dangerous situations to make sure others avoid that hazardous situation. This is more than just orange cones, yellow caution tape, or fences, though these are good ways to warn others. It also involves making sure any machines or devices which require maintenance are always adequately cared for and all safety regulations are followed closely. When someone fails in these responsibilities and another person is hurt because of it, it is the negligent party’s responsibility to pay for the victim’s recovery. A woman was taken to the hospital after falling down an elevator shaft in Boston’s Fenway Park, according to authorities. Media sources say the woman was leaving the park after a game. The elevator doors opened on the fourth floor, but the elevator itself was still two floors below. When the doors opened, the 22-year-old woman stepped through, only to fall two stories down the shaft onto the roof of the elevator below. Emergency responders arrived quickly at the scene and shut down the elevator so they could go through the elevator’s emergency hatch and retrieve the unconscious woman, according to the fire department’s social media. Media sources say the woman was listed in critical but stable condition upon admission to the hospital. If you or a loved one has suffered injury through the recklessness of another, we can help you at Auger & Auger. Call us today for a free consultation. You don’t need money to hire our services — there’s no charge until a settlement is maintained. Our first concern is justice for you. Trust is a very important element in our interconnected world. We trust that others will follow the law, and if they don’t, we trust the authorities will take care of it. We trust teachers to educate our children and keep them safe. We trust mechanics to fix and maintain our cars, and we trust doctors to keep us healthy. Unfortunately, there are some few who betray that trust. In such situations, there is no better friend to have than a trustworthy attorney to make sure the person or persons at fault are held responsible. A woman in New York has filed a lawsuit against a hospital and two doctors who delivered her baby via cesarean section, against her expressed wishes. According to the 35-year-old woman, her previous two deliveries had caused difficulties due to the use of C-section, so she wanted to have her third child through natural birth. The doctors at Staten Island University Hospital, however, felt that would be harmful to the child and performed the surgery anyway. The baby was delivered safely and born healthy, but the mother claims her bladder was punctured during the surgery and she now seeks an unspecified payment. There are legal complications raised with the lawsuit: Does a pregnant woman have ultimate control of what happens to her body, even if it might kill her offspring in the birthing process? Or does the doctor have the duty to protect both? The use of C-section has been increased over recent years in part due to lawsuits which claimed babies were injured during natural birth. Those lawsuits have led to more C-sections, which are both quicker and less risky than natural birth, many doctors say. If you’ve been injured through the actions of another and feel you deserve compensation, we can help. Auger & Auger is a firm specializing in personal injury, known for superior service and a high rate of success. Contact us today for a free consultation and we’ll fight hard for you. Recently, Demetrist Roberts, the 34 year old man who is accused of killing two people and injuring their grandson while driving under the influence had bond set at $1.5 million. Charges for felony death by vehicle, felony speed to elude arrest, driving while impaired, driving while license revoked and speeding are the pending charges against Roberts. Unfortunately, this is not the first time Roberts has been charged with DWI. He has five convictions in Cleveland County and all charges include DWI and speeding to elude an officer. According to the Center for Disease Control, children account for seventeen percent of all traffic fatalities caused by impaired drivers. In 2010, 211 children under the age of 14 lost their lives when involved in an accident with a driver under the influence of alcohol. That is 211 children that never had a chance to grow up and live out their dreams. All because a driver decided to drink and then get behind the wheel and drive. Multiple offenders like Roberts should never be on the road, but the reality is they are. Sometimes these drivers are lucky and avoid causing accidents, injuries and even death. Unfortunately, like in this case, they are sometimes not so lucky. The couple killed in this accident was the grandparents of the little boy that was seriously injured. The family of these victims will never be the same. A child has lost his grandparents and his parents have lost their parents all as a result of reckless driving. The parents have a claim against the driver for their son’s injuries but they also have a claim against the alleged drunk driver for the wrongful death of their parents and grandparent. No one can ever replace loved ones lost through an accident caused by a drunk driver. Auger and Auger understands that and wants to help in whatever way possible. We are knowledgeable about wrongful death claims and can help you fight to recover for your loved one. Call us today for a free consultation. In Shelby Saturday afternoon, a 34-year-old driver was driving a Buick LeSabre recklessly on a busy street while trying to avoid police. Police spotted Demetrist Lendell Roberts speeding on Dixon Boulevard about 1 p.m. They began to pursue Roberts, but stopped due to the heavy vehicle and foot traffic. Roberts continued to flee and ran a red light. He struck a Ford Taurus in the intersection. The impact ejected a twelve year old boy and killed the adult passengers in the car. The driver of the Buick was charged with two counts of felony death by vehicle, felony speed to elude arrest, driving while impaired, driving while license revoked and speeding. The Center for Disease Control reports that every day about 30 people in the US die as a result of accidents caused by a driver under the influence of drugs or alcohol. The math makes that about one death every 48 minutes. Unfortunately, many drivers such as Roberts do not have insurance. But just because a driver does not have insurance does not mean that there is no coverage. When involved in an accident with a drunk driver, the impaired driver’s auto insurance pays claims out of their liability insurance. If the driver has no coverage, the victim can often collect from their own insurance under uninsured motorist coverage. Don’t assume there is no coverage. Speak to an expert who can thoroughly evaluate your claim by looking at your insurance as well as the insurance of the person at fault. A victim of injury caused by an impaired driver, or in cases like the story above, a victim’s family, may be eligible for compensation through a civil lawsuit. The criminal court only deals with fines and punishment, a civil suit allows for a victim or family members to file a personal claim against the impaired driver for loss of income, medical bills, pain and suffering among other things. Personal injury compensation is designed to try and make a victim whole again. If you have been injured in an accident caused by an impaired driver, call us. Auger & Auger are experienced in recovering compensation for injuries, pain and suffering, lost work and loss of enjoyment of life in these types of cases. 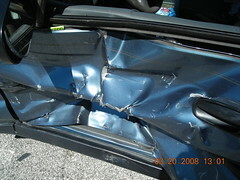 We will listen to you and give you an honest evaluation of your claim. Call us today for a free consultation. A single engine plane was landing at the Taylorsville Airport when it clipped a 74-year-old man mowing the landing strip lawn. The plane severed the man’s hand as a result of the incident. The accident could have been much worse. The plane and mower flipped after impact. The plane and the pilot were not hurt as a result. A helicopter transported the man from the mower to Baptist Medical Center in Winston-Salem for treatment. Smaller airports rely on flying by sight instead of being cleared to land. In this case the pilot from Tennessee circled the airport prior to landing, but he did not see the man on the mower until it was too late. Both the plane and the lawnmower were traveling in the same direction which means the man on the mower never saw the plane until it hit him. In an accident such as this, the man on the mower has a strong claim for the personal injuries caused as a result of the accident. He may have recovery through workers’ compensation and the liability insurance carried by the pilot of the plane. Recovery for injuries like this one would potentially include reimbursement for medical bills, pain and suffering, emotional trauma, loss of income and payment for a permanent partial disability. Accidents usually happen because someone was careless. If there is an instance where two or more people are careless and it results in an accident, the people responsible share in compensation for the claim. In this case, both the airport and the pilot would most likely be liable. It is up to insurance companies to determine which party pays what percent to the victim. If you have been injured in an accident, it is important to speak to someone that understands the laws that surround legal liability. It is not enough to think or say it was someone else’s fault. You must be able to prove that someone was careless when they should not have been and because of their carelessness, you were injured. We have the resources to help you prove liability. Establishing negligence and legal liability is the first step in any personal injury claim. We at Auger & Auger understand how accidents disrupt lives. If you were involved in an accident let us help you build a strong claim against the parties responsible. Call us today.